Thus does an evening beckon, full of pleasantry and promise. But as described here it notes events in a manner of considerable interest for the lexicographer. For scattered within the vocabulary of this 54-word drama are 11 uses of the three most complex verbs in the English language: ‘set’, ‘put’ and ‘run’. This text is an excerpt from ‘A Verb for Our Frantic Times’, an essay featured in SET-PUT-RUN, a book with works by Jaya Pelupessy. In his work Jaya explores the way the process to create an image and the result are related. 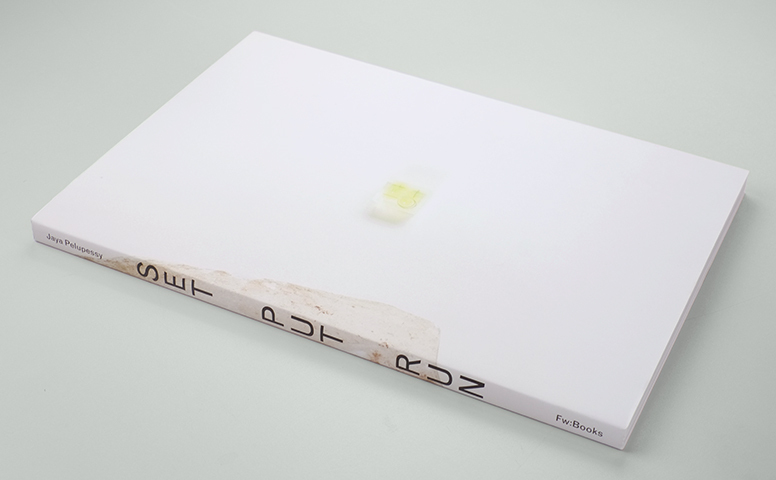 The book SET-PUT-RUN is continuing this research by recording the process of making a book, and becomes and endless loop of reproduction.